New Automatic Shut Off Technology! Introducing our New Ultra Series Glue Guns! Designed to ensure safety, peace of mind, and consumer confidence. 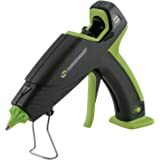 Delivers 50 percent more power than standard glue guns and features a revolutionary auto shut off feature that shuts off your glue gun after 30 mins of non-use. FPC has been family-owned and operated since 1968. 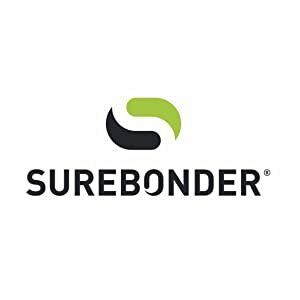 We are the proud, USA based, manufacturer of Surebonder adhesive products and tools. 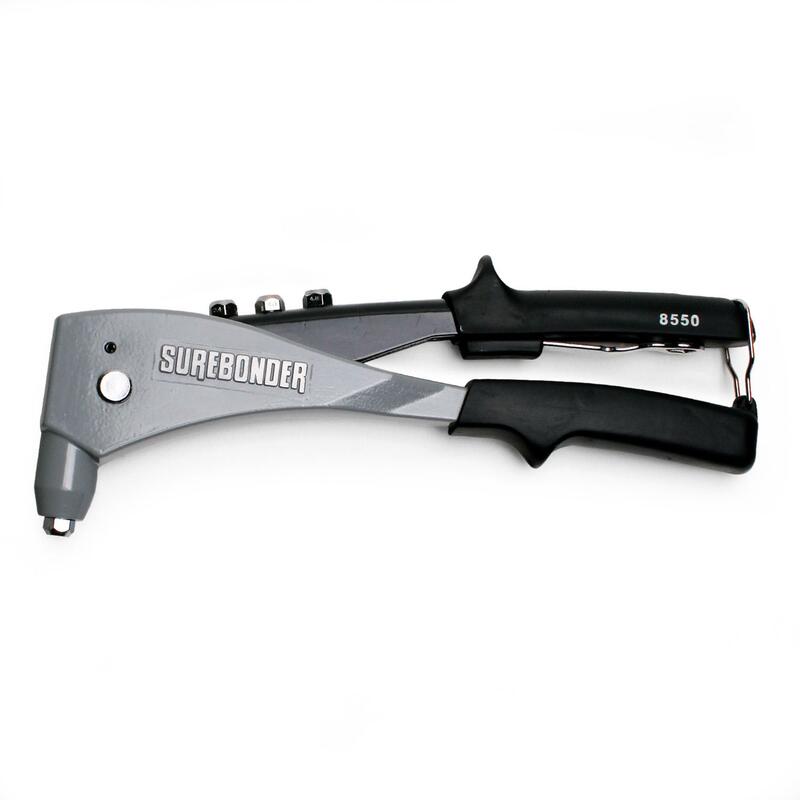 Whatever the project, Surebonder has the tool to get it done. 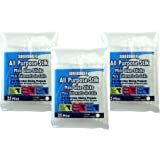 We offer a wide variety of top quality hot melt glue formulas to ensure your project gets done, and gets done right. 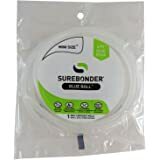 Surebonder's go-to glue stick. 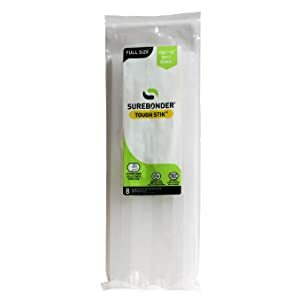 A clear, general purpose, hot melt adhesive great for many craft, DIY and product assembly projects. Materials: wood, most plastics, most metals, fabric, paper, ribbons. Need something stronger? 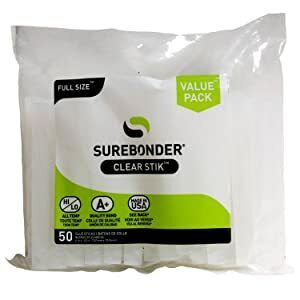 Surebonder's Tough Stik is a clear, acrylic, hot melt adhesive great for those difficult surfaces. Materials: concrete, vinyl, metal, plastics, rubber, tile, stone, ceramic, leather, melamine, coated papers, foil, nylon, fabric and glass. 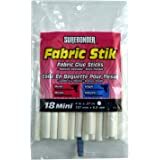 A Foam stick, perfect for bonding delicate materials such as foam, lace, lightweight fabrics and more. 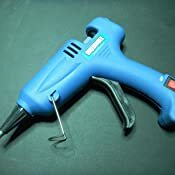 A Cool Shot stick that operates at a lower temperature for safer use - great for classrooms. Glue Rolls for the crafter who doesn't like to run out of glue. 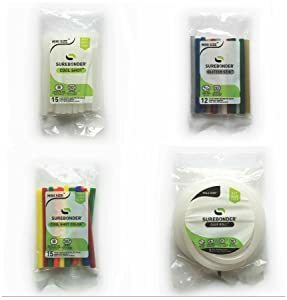 Glitter glue, color glue, glues for wood, jewelry, glow in the dark, you name it, Surebonder makes it. 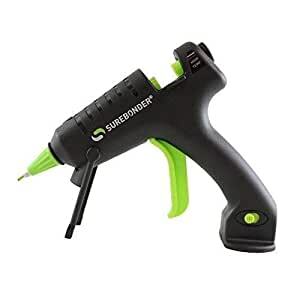 Surebonder's Pro2-60 cordless glue gun eliminates restrictions and allows for taking the glue gun wherever it's needed. No cords and plugs to mess with; simply total freedom. Already working with Ryobi 18V batteries, the Pro2-60 will soon be compatible with Dewalt, Milwaukee and Makita batteries. 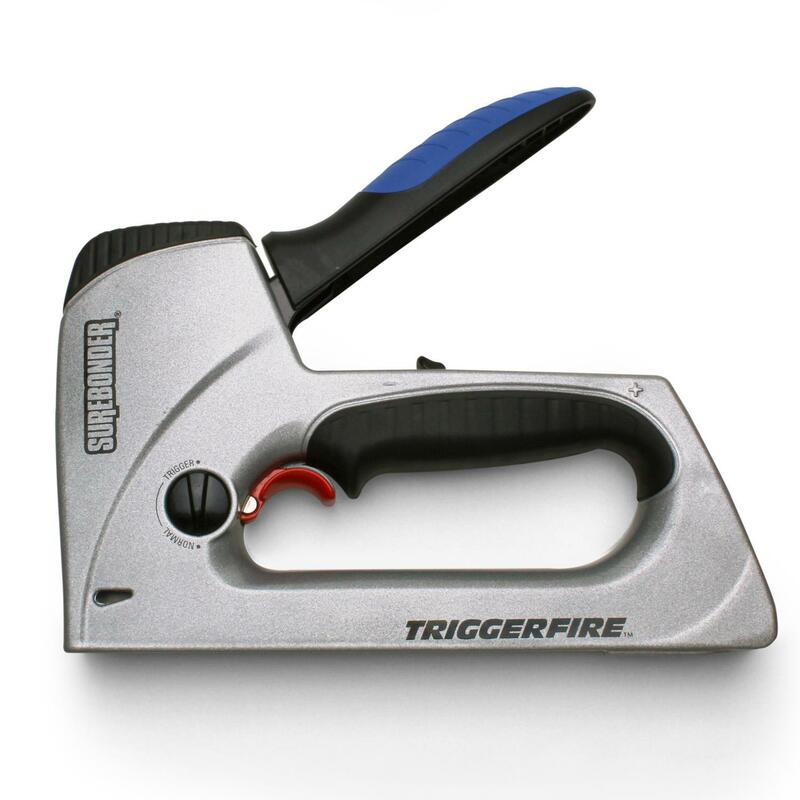 Patented Trigger Design gives you ultimate power with minimal effort. 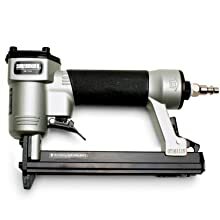 In Trigger mode, simply squeeze the staple gun handle, position on the workpiece and pull the trigger to set the staple. Trigger mode setting gives you flush stapling with one hand! Ideal for hard-to-reach areas and accuracy. 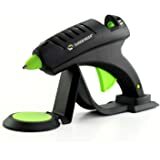 Easy drop in staple loading, adjustable depth drive, and convenient staple viewing for reloading staples. 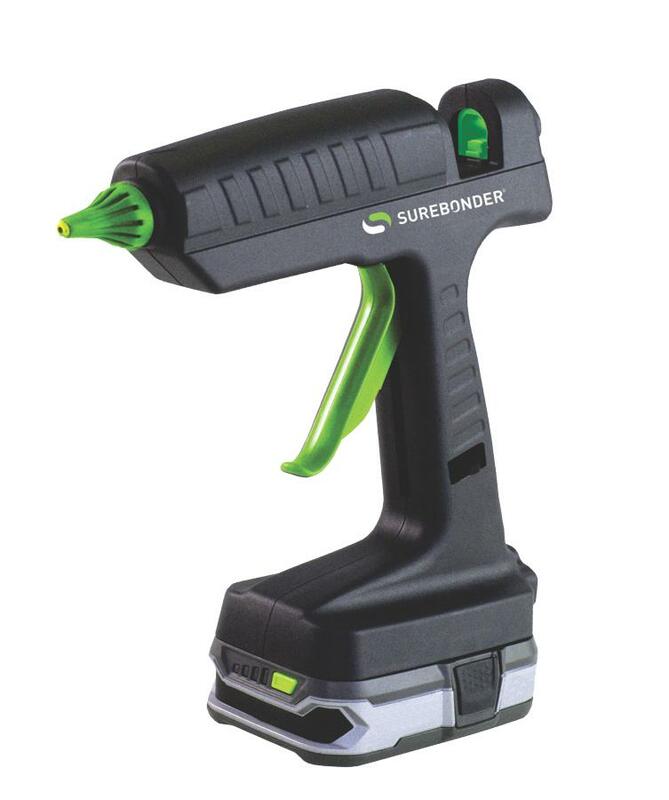 Surebonder's line of pneumatic tools covers projects such as Insulation, Roofing Felt, House Wrap, Upholstery, Small Furniture, Screen Door Repair, and have features like a safety mechanism that prevents accidental firing, a quick release magazine for easy loading, adjustable air exhaust, a staple viewer and a high impact carrying case. 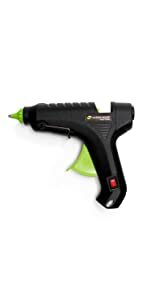 One of Surebonder's top rivet tools, the 8550 is a professional rivet tool designed for heavy duty steel construction work. Cast aluminum for light weight. Replacement parts available. Nosepieces included with rivet tool: 3/32", 1/8", 5/32" & 3/16". 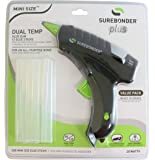 The Surebonder H-195F Mini Glue Gun is a perfect addition to your craft supplies and has an extended tip for accurate detailed work. The use of high temperature creates a better bond with paper, fabric, wood, plastic, metal, ceramics and more. The 20-watt glue gun features a lighted power light, insulated nozzle, detachable auxiliary stand and a safety fuse for enhanced protection. 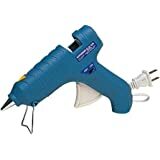 Uses high or dual temperature glue sticks, 5/16-inch in diameter by 4 or 10-inch length. Nothing! That's right! 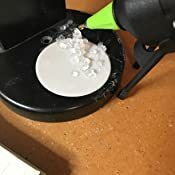 No tiny mountain of melted glue stuck to the table top where the glue gun set; no smell of heated glue or burning plastic. This little gun sat patiently, switch still set to on, glue still hot and ready to go, just waiting for me to pick it up and go. The important thing however...is that the glue gun doesn't drip, doesn't stink, doesn't thread. I am more than pleased with the deal that I got on this gun and the performance I have had with it so far. My best friend agrees with me as well. 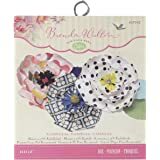 She borrowed it and was using it in her scrapbook, she lifted the gun from the page to place an embellishment, then stopped and stared in wonder. "Oh wow! No strings still attached!" 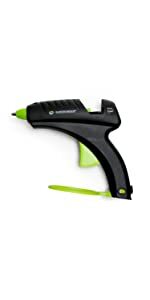 Loving this mini glue gun! The ONLY complaint I have, and it is so minor that I am not taking a start from my review, is that when sliding a new stick in, you sometimes have to wiggle it a little to get it past the first little black 'sleeve' area. The only time that becomes a problem is when I am in the middle of needing a ton of glue and start freaking out thinking all the rest will cool before I can get more glue in place, but the truth is, cooling glue has not been an issue, and now that I know it might need the wiggle, I am prepared and it still only takes 1.5 seconds to pop a new one in. I like that it has an On/Off switch. I can go back and forth to the work station without having to crawl under the table to unplug until I have finished the project. 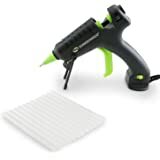 It feeds a small bead of glue, making it easy to control the amount being placed on the project. The larger trigger makes it very comfortable to use. 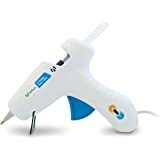 I got this glue gun because it had decent review and was a pretty good price compared to store prices. I also got it because it said it had a fine point. 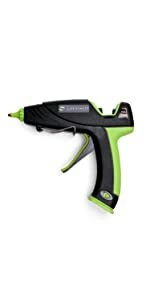 while i think the manufactures and I have a difference of opinion on "fine point" it was comparably smaller than a standard glue gun but i wouldn't call it fine. it did however have a lot of control with the nozzle and i was able to do fine lines after a few test runs that made the glue almost not noticeable. 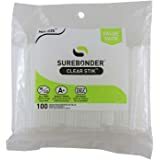 I was fortunate enough to read the reviews and got the same glue sticks that were made for this since some people said it leaked if you DIDN'T use them. and it didn't! i have no idea if you use a different brand of glue sticks if it would leak. the on off switch was a great touch and made it so i could use it when I needed it and turn it off if I didn't for a while. that said I still unplugged it when I was done just in case. also the glue never got SUPER hot. I actually have always somehow managed to burn myself with hot glue but surprisingly this got hot enough to bond things but no so hot as to be a worry if it came in contact with my skin. i could have just been lucky though. it also heated up pretty fast which was really nice. now the reason it only got 4 stars. the stand is terrible. well the stand is not TERRIBLE but the combination of the stand the lightweight body and the heavy cord and cord placement i could NEVER get this to stand up with the stand it would ALWAYS tumble over. so it almost always laid on its side. besides the stand issue this was a great gun for a great price. 5.0 out of 5 starsIt is great for detail work. I love this little gun for detail work. 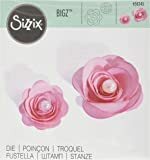 It works great for my paper roses & I don't see the glue peaking out anywhere. 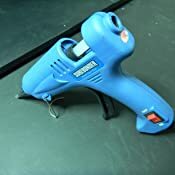 You can lay a very small bead of hot glue with the tip on this gun, which is wonderful when you are working with smaller laces. 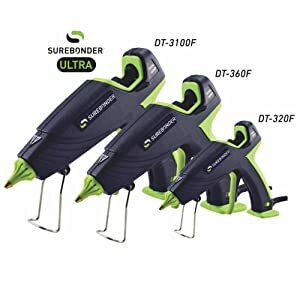 The tip is not interchangeable, so I do have 2 Surebonder glue guns. 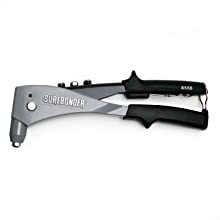 This one & the bigger Surebonder PRO2-100 . Both have a place in my craft room. Because this gun is so lightweight, it does tip easily. My suggestion is to buy a glue gun holder for it. as soon as I put a surebonder glue stick in & it had time to reach the tip & settle in. Heats up fast, does not drip, and has a power LED. Power switch is a nice feature. The tip is narrow enough for good accuracy. Trigger is responsive and solid. Glue stays warm for a decent amount of time, so it is easy to work with. The stand is not great, as the tip is close to the surface the gun rests on. 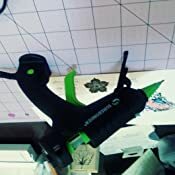 Also, power cord placement disrupts the stand, forcing me to place it at the edge of the table or on a block.. Or better yet, hang it from a hook or rod. I usually just lay it on its side though, as only the mertal tip gets warm, not the insulating plastic.